When you live near Salem, Massachusetts, Halloween isn’t just a day; it’s a way of life. We residents do not get scared easily because we simply can’t. When there is a witch, monster, ghoul, or demon around every corner, you learn to enjoy terror rather than let it scare you. In that spirit, we’re willing to follow any cobblestone path to take a short tour of the nearest haunted house. Given the astonishing number of haunted houses in Salem, we get through all of them and think we’re invincible. But once in a great while, we realize that the Halloween capital of the world is not synonymous with the scariest place in the world. Sometimes we come across something so terrifying that our natural Salem bravado melts into a puddle of trembling, heart pounding fear. And for this writer, that already melted puddle evaporated into an impenetrable fog of terror upon seeing the Cutting Edge Haunted House in Fort Worth, Texas. 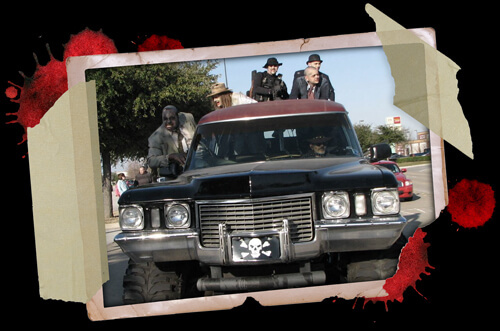 Located in a 100-year-old abandoned meat packing plant in a section of Fort Worth historically dubbed as “Hell’s Half Acre,” the Cutting Edge Haunted House is built upon a foundation of horror. Originally infamous gangsters like Butch Cassidy and Sundance Kid, Doc Holiday and Jesse James frequented the last stop on the cattle drive, Hell’s Half Acre. As notorious as he may be, even Jesse James would tremble if he saw what that former cattle stop looks like now. The meat packing equipment from the Old West is still in use, but now it is a two-story human processing area. Realistic looking human mannequins are hoisted up to the second level and brought through the entire meat packing process until the conveyor system brings the butchered corpses back to the first level. If visitors did not know that it takes over 100 people to make such a startling Haunted House, they might not be able to calm their quaking nerves by telling themselves it’s all for show. Filled with 22 highly themed sets, 32 animatronics, a Monster Hearse on 44 inch tires, an award winning sound system, and an exploding bus, the Cutting Edge really is a show. 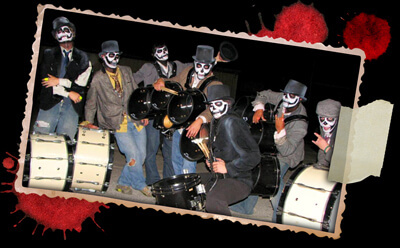 This haunted house even features a Stomp-like drum segment that is as entertaining as it is scary. 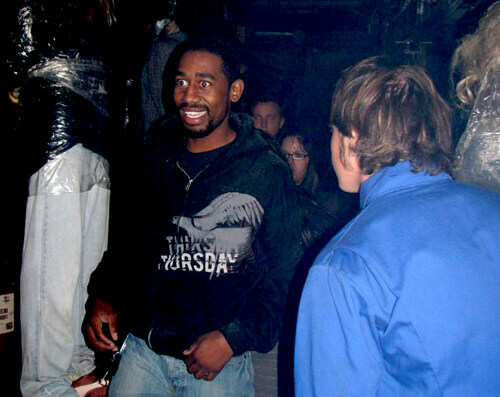 Cutting Edge owner Todd James describes this part of the haunted house by saying, “We have these top notch cats that perform in a sort of apocalyptic industrial alley way. They play on bumpers and all sorts of metal objects throughout the whole night. These guys are running around in costume while they’re scaring people, but they never stop playing.” Between the beat of the metal, the unbeatable wardrobes and makeup, and the elaborate sets, it is impossible to walk through Cutting Edge without your instincts screaming for you to run. Of course, with the world’s largest walk-through haunted house, running wouldn’t help. 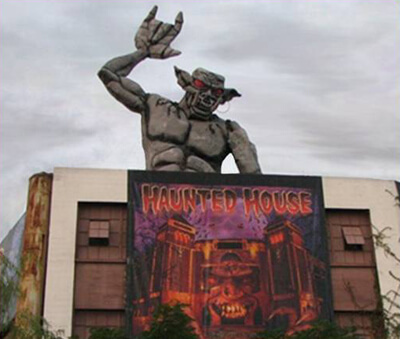 It takes approximately 55 minutes to walk through every perfectly executed section of Cutting Edge, so this is not like the five minute horror spree that awaits guests in traditional haunted houses. On the contrary, Hell’s Half Acre is even larger than it sounds and once you’re in, you cannot help but wonder if you will make it out alive. And just think – that 55 minute walk through the interior does not include the outdoor world. The outside is adorned with Hollywood Premier style search lighting, an array of characters, and a 35 ft tall gargoyle busting through the roof named “Jr.” Even more impressive is the Cutting Edge’s 30,000 square foot maze competition where guests brave enough to embark on the journey wander through the masterful maze with a four inch glow stick to light the way. They race through one of the largest, most elaborate mazes in hopes of being the first to find their way. These courageous people are not just in a hurry because their blood is pumping so hard throughout their veins. They also know that those who exit first will be rewarded with the opportunity to return and vie for an all inclusive trip to Mexico. It looks like the awesomeness is just beginning, too, because James and his team are in the process of making Cutting Edge a haunted house and full film studio. James described his future plans by saying, “We want to do this in a Robert Rodriguez-esque style. We already do designs, animatronics, and special effects. Now we’re learning about the shooting and post-production aspects. Our five year goal is to have some films made.” Always broadening its horizons and pushing itself past conceivable limits, it is hard to imagine that Cutting Edge could create anything but an instant classic. And if Cutting Edge had to be described in one word, classic would have to be the one. This haunted house is not just about blood and gore, nor is it about cheap thrills. It is about the classic and unimaginable fears that make people human. Having witnessed the difference between a haunted house that makes people’s hearts pound for five minutes and a haunted house that resonates under the skin for days, one thing is clear. 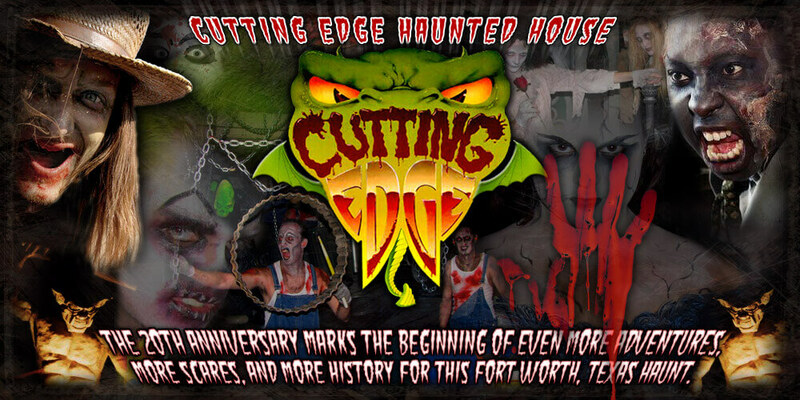 Cutting Edge has spent the past 20 years making people’s nightmares feel like a reality and will undoubtedly spend the next 20 years making people’s realities feel like a nightmare.